New addition to my half sleeve. 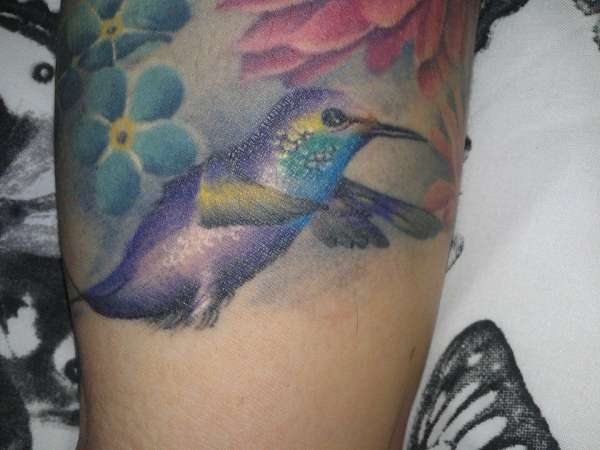 I had this hummingbird added to my half sleeve in march 2014. It's for my son. I love him. Done by Lianne moule of immortal ink, Chelmsford UK.